Our team at Course Report heard about program changes at Startup Institute—from pre-work to instructors to outcomes—so we sat down with Vice President of Admissions Katie Bickford to get the details. Read what we learned about the additional support Startup Institute is building into their curriculum, how they help guide students into the right career track, and their new, 4-week online pre-work that’s opening Startup Institute to all levels of learners. As VP of Admissions at Startup Institute, can you tell us how you interact with students? Startup Institute is a community-based program and the values of our program are important, so I built out our admissions process to find students who will benefit from the program and learning environment. The interview is designed to find applicants who will be collaborators and high-impact, high-accountability members of a team. The next piece is about supporting the applicant to figure out the type of work that they will love. The interview and assessment involve a bit of searching for the “strike zone” to find a field that is interesting and energizing for them—in which the student will be solving the kinds of problems that their brain is really suited to solve. How is culture fit important to the admissions screening process? Culture fit is non-negotiable. Culture can be a is a very dangerous term because you can hide bias under “culture,” which is why we’ve developed a very defined rubric of what culture fit means for us. A love for problem solving, a desire to make a bigger impact in the world, and the need to be an active collaborator. We are looking for applicants who are humble, self-aware, sincere, will hustle to achieve their goals, and have a strong desire to make a change in their lives. Aside from culture, is a coding challenge still part of the application? Yes. We have a different type of assessment for each of our skills tracks. We also give additional help and resources as needed, working with applicants one-on-one to figure out if this is the right career path for them. There are four skills “tracks” at Startup Institute: Students can enroll in Web Development, Web Design, Digital Marketing, or Sales and Account Management. Do you find that most applicants know which skill set they want to build before they apply? Great question. When we added the option of being “undecided” to the application, we were surprised by how many applicants chose that option. I think this is great, because these students are all making massive career changes. Without exploring properly, an applicant may not realize which career path is right for them. For example, one woman at Startup Institute was an accountant who became a UX designer. There was no sign in her prior career path that she should be a UX designer, but she loved doing creative work back in high school, so we had to uncover that during her admissions process. Even if somebody does know which track they want to take, I'm still going to work with them to test it out. 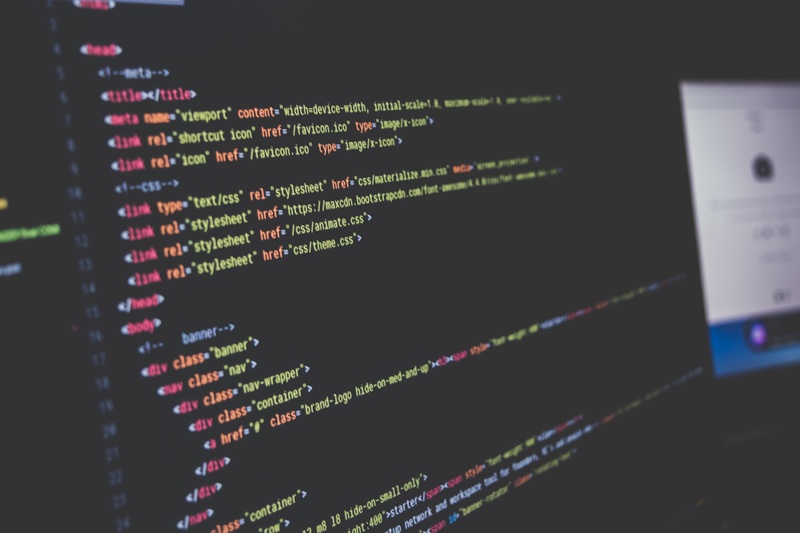 We've had people apply for back-end web development, and after looking at some projects they’ve done and the way they reason through problems, it becomes clear that the person is more suited to being a front-end developer. If I were to invest time, faith, and tuition in something like Startup Institute, I would expect a very real and supportive transition into a satisfying career. Everything we do is about getting our students to great career outcomes, so we start by ensuring that they’ve chosen the right path. The final stage in our application process is a conversation with the local Campus Director, because this is the person who owns the results of the program. The director looks at the results of the candidate’s assessment, the person's background, and our notes from the admissions process, and they work to set realistic expectations with prospective students. That’s an important conversation. Startup Institute recently added four weeks of online pre-work. What drove you to make that change? We used to have a certain bar that applicants had to clear in terms of skills or aptitude in order to be able to make it into Startup Institute. We were getting a lot of applicants who were wonderful from a culture perspective, but whose technical skills weren’t ready for the rigor of our curriculum. We asked ourselves, "What if we could extend this opportunity to even more people?” The idea for the pre-work emerged so that we could accept more people into Startup Institute. And what sort of material is in the pre-work? Everyone does different pre-work assignments depending on their backgrounds and the skills track they are pursuing. We started by creating really well-curated materials for the person to look through, and then we began giving them a project. Now, we’ve added different online learning components. Some of the materials have been developed in-house, and these are combined with a list of online tutorials, curated especially for each student, case-by-case. We’re prescriptive about what each student needs in order to be prepared to take on the eight-week immersive. Who is primarily supporting the students during pre-work? All of the members of our team are incredibly involved in this process, from our technical director to our designers and our alumni. 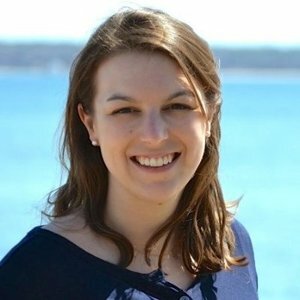 In fact, the UX designer/front-end developer who built the Startup Institute website is an alumna of the program (a speech pathologist in her former life); she now gives individualized feedback to applicants on their Web Design assessments. Our team has a lot to do, but this is why we’re here; we’re all passionate about these students. Now that you have this pre-work, will you be widening your acceptance standards? That's a really great question, and the answer is “yes.” Our acceptance rate right now ranges from 11% to 18%— these numbers are too low for us. We don’t pride ourselves on a low acceptance rate; we want to have as many people benefit from Startup Institute as possible, but we're not going to admit someone unless we're really confident that this program is right for them. Now, we’re able to cater our program to people to just start building their skills, as well as to more people who are further along. What does that mean for the in-class experience? How will students work side-by-side if they start at different levels? Startup Institute has always catered to a wide variety of students because of the collaborative nature of the program. We see senior students pushing their skills forward, and they crystallize these skills by supporting more junior students. Our recent introduction of technical mentors will also help us to bridge students’ gaps around skills, ensuring that senior students are adequately challenged while junior students can learn at their own pace. 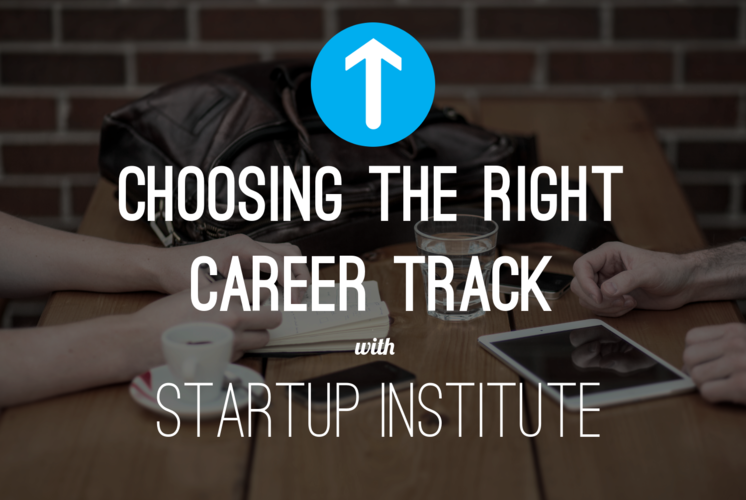 Startup Institute has always had part-time, AdHoc instructors who are industry professionals. Tell us about these new Mentors in Residence. Yes, we have two instructor types. Our students have always benefited from learning from and networking with the ad-hoc instructors we bring in, and from the exposure to their different perspectives. In surveying our students, we were also getting feedback like, "It would be really great to have somebody watching my development throughout the course." Our Mentors in Residence are people who we specifically bring in as industry insiders, who have deep networks and want to help bring people up in their industries. We had this eureka moment— “let’s do both!” So, the new model gives students a point-person who is tracking their individual skills development, alongside ad hoc instructors who introduce diverse perspectives and expand their networks. How does Startup Institute report on those outcomes after you’ve helped students get jobs? If you're advising somebody to do something that's going to disrupt their life, you're advising in good faith that it's going to lead them to a better outcome. So we measure our outcomes, and then put them through a third party audit. We’ve found that 92% of our students find new jobs within 100 days, 76% got offers within 60 days. Even more gratifying—88% say they’re happier in their new jobs than in jobs prior. This outcomes survey does not belong to us; a third-party auditor conducts the entire thing. We provide contact information for alumni and we step away. To be counted as a success, grads have to get the jobs that they did the program to get—if a student leaves our program with an unpaid internship, for example, that internship is not part of the 92%. People are trusting Startup Institute to get them to a good outcome, so this is honestly so important. If you compare this to students who go through other advanced education programs, such as law school, where they’re unable to see outcomes, they often feel burned and cynical about that education. When does the next cohort of students start? The next cohort starts October 17th. Our last application deadline is September 19th. The sooner a candidate applies, the more time they’ll have to complete the pre-work and get support through that process. Anything else you’d like to add about supporting your students? Startup Institute is a mission-based organization. We want to do this the right way. We're very passionately and personally committed to helping our students be happy and fulfilled in their work. At the crux of all of the new improvements to our program is a goal to make this experience available to more people—to help more people find satisfying careers. We’ve just launched five new scholarships with this same goal in mind. We want this experience and this community to be accessible to as many people from as many different backgrounds as possible, so we've designed these scholarships to support inclusion and diversity in tech. To learn more, read Startup Institute reviews on Course Report or visit the Startup Institute website to start your application.